Fiserv is a global leader in financial services technology solutions with more than 12,000 clients worldwide. Altigen has been developing customized VoIP, Contact Center and IVR solutions for Fiserv bank and credit union clients since 2006. Today more than 1,500 Fiserv customers have deployed one or more of the Altigen based solutions. Through its Sentry Performance Solutions division, Fiserv offers ConvergeIT® VoIP, ConvergeIT® Call Center and ConvergeIT® IVR. The solutions may be deployed on-premises or in Fiserv’s secure data centers. These robust solutions offer Fiserv’s financial institution customers unparalleled capabilities along with the peace of mind of knowing that the entire solution is supported by Fiserv 24×7. 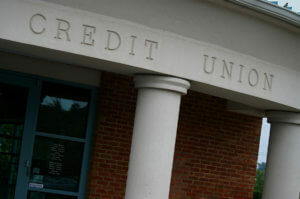 Please contact us to learn more about our bank and credit union solutions. Our team has years of experience working with financial institutions, and we’re happy to show how the solution might work for you. ConvergeIT®: VoIP from Fiserv is the only VoIP (voice communications over an IP network) system designed for and integrated with Fiserv account processing systems. Integration with all Fiserv Core Account Processing Solutions: Integration with Fiserv Core Processors and other applications such as NEXT Multi-Channel Marketing provides valuable integration points for authentication, screen pops and cross selling. Security: All voice and data paths are encrypted and follow Fiserv’s strict security protocols. Reduced IT Overhead: Free up your IT staff for other priorities. Fiserv deploys, manages and provides a single source of support for all solutions whether they are installed on-premises or in a Fiserv data center. Financial Institution Experience: More than 1,500 Fiserv bank and credit union clients use Altigen. Many enhancements have been added based on direct input from Fiserv customers. Flexibility: Available on-premises or Hosted in Fiserv’s secure data center. What else could possibly go wrong if your phones go down? How would your members rate your phone system? Is your credit union operating in communication silos? A complete, enterprise class VoIP solution including hundreds of features selectable by your company. An intuitive Windows client providing users with MaxCS call control, voicemail management, and extension configuration. Automated call answering with multiple business schedules - day, night, holiday, etc. Includes dial by name and customizable music on hold. A desktop plug-in providing all of the capabilities of the Windows Telephony Client in familiar Outlook interface. Designed for company operators / attendants to easily handle multiple calls while maintaining personalized service for your customers. A complete, integrated solution enabling voicemail retrieval from the desktop phone, PC, mobile phone or Exchange. Integrated “meet me” audio conference bridge standard, supporting 30 participants which can be expanded to 120 participants. Enables authorized users to forward calls to their mobile phones and make outbound calls through the MaxCS IP PBX. Easily manage switching, extension, workgroup, and messaging functions using an intuitive Windows interface - locally or remotely. The SDK is a robust set of tools enabling customizations and integrations to MaxCS for both server and client applications. Route, queue and manage calls according to your unique business rules and customer service level requirements. MaxInSight enables supervisors to monitor real time call center performance on a wall mounted display or right from their desktop PC. Automatically route website visitor chat requests to designated agents to engage your audience and drive conversion opportunities. The historical reporting module provides over 40 reports to monitor, manage and control the performance of your contact center. Provides complete call control while displaying queue and workgroup status as well as agent performance statistics. Centrally record and manage calls for agents and workgroups based on your management, training or compliance requirements. MaxSupervisor provides a comprehensive desktop view of call queues, agents, and workgroups – with complete agent monitoring capabilities. Manage and monitor extensions, trunks, workgroups and system status using an intuitive Windows interface – locally or remotely. MaxACD enables seamless integration to CRM and ERP applications such as SalesForce and Microsoft Dynamics CRM. Supervisors may score recorded calls for agent quality management. By implementing a formal evaluation process, your contact center maintains agent accountability. Provide customers an option to take a brief survey after disconnecting from the agent. With direct feedback and reporting, management gains insight into customer satisfaction. Double productivity for outbound agents in departments such as collections with click-to-dial and Voicemail Drops of prerecorded messages. Supports campaign based outbound caller ID.